The FC Sunset View Resort is in a perfect location and is located in Barangay Caparispisan in Pagupud. The resort offers economical accommodation for vacationers and travelers in a relatively secluded location by the South China Sea. Enjoy the white sands and warm waters of the South China Sea and have an economical holiday at Asia’s best beach, what more can you ask for? The resort is located about 5 km from the Pagudpud market, the municipal hall and other resorts such as Casa Teresita Resort and Dialao Resort and the Hidden Resort. The area is a little distance away from Pagudpud and less commercial however its a nice escape for a vacation by the sea. No details are available on room rates, amenities or other details of the resort. The local region comprises genuinely magnificent and almost abandoned beaches, absolutely striking waterfalls, arresting scenic vistas, and a real genuine get away from the rat race feeling. It is no wonder that so many movies and television commercials are filmed nearby. Imagine a beach without too many tourists, no noisy jet skis, no strip of bars and not even a McDonalds restaurant! Now that is paradise! Because Pagudpud is so un-commercialized there are quite limited places to stay and you need to book well ahead in peak season periods to avoid disappointment. The most amazing part about Pagudpud is the tremendous people, get unfeigned Ilocano hospitality and renowned friendliness, not only the most outstanding beach in Asia but also the friendliest place in Asia. Ilocos Norte is synonymous with warm tropical sunshine, sapphire blue skies; the most wonderful looking turquoise blue and crystal clear water and the famous sparkling white sands. Does it sound too good to be true? It honestly is that beautiful! Why not come and see for yourself! 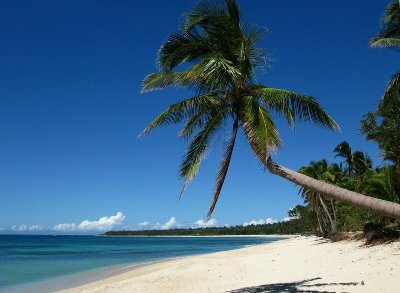 Click on this link to go back and find out more about Pagudpud Vacations and all you need to know.